Green. If you weren’t green last Tuesday, you were an outcast. You had no place to sit, stand, squat, or breathe inside Hola España, the cozy resto-bar along the Ma. Luisa Estate Park road painted one color. Ateneo? Last week, they sparkled in blue. 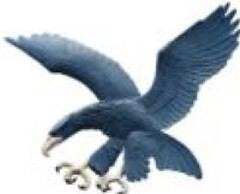 The eagle soared amidst the bright blue sky. Twice, Ateneo beat La Salle during the regular season and, last Sunday, needed only to beat the ousted National University (NU) to advance to the No.2 slot. They booked an overnight party in Tagaytay to celebrate. Against NU last weekend, Ateneo turned the ball over 28 times en route to a shocking, upset-of-the-year OT loss. Thus, the Ateneo-La Salle Game 3 last Tuesday. Hola España? Two afternoons ago? Very soon, La Salle rah-lied! First, by two points, then by four. Ateneo snatched it back. They led by three, then we climbed back. Tied. The game was a tug-of-war. No team led by more than six points. There were 13 lead changes, 10 deadlocks. With 180 seconds left, the score was 63-all. Then 65-all. Came it get any closer than this? Finally, unlike the several last-minute bundled opportunities in the previous games, La Salle did not blink. 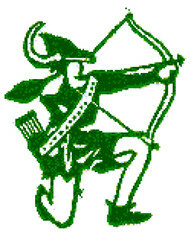 Like a sharp-shooting Archer—like Robin Hood—with cheeks and fingers and eyes steady, La Salle unleashed a barrage of arrows to pierce and wound and maim the Eagle. N-U! N-U! N-U! N-U! N-U! You know what that meant: If not for National University, we’d be playing the defending champions UST in a knockout match to face the twice-to-beat Ateneo. But now, it’s the reverse. Ateneo plays UST while we await—in Tagaytay?—with that precious twice-to-beat advantage. Back to Hola: We celebrated. Laughed. Ordered more beer. Cheered like the thousands of other green bodies scattered around our 7,107 islands who’ve studied under the tutelage of St. John Baptist de La Salle. Ateneo? Green with envy. And blue.